The DiCoMI project is funded under the H2020 Marie Skłodowska-Curie Action for Research and Innovation Staff Exchanges (RISE). This programme is exclusively financing the mobility of staff between research and industrial organisations as well as between European partners and international beneficiaries. DiCoMI is scheduled to have a total of 317 months of secondments over the four-years project duration. Organising this many staff secondments between the large pool of consortium partners located around the world is not easy. Thanks to the action plan defined during the kick-off meeting and the motivation of all the consortium partners, the first DiCoMI secondments successfully took place. 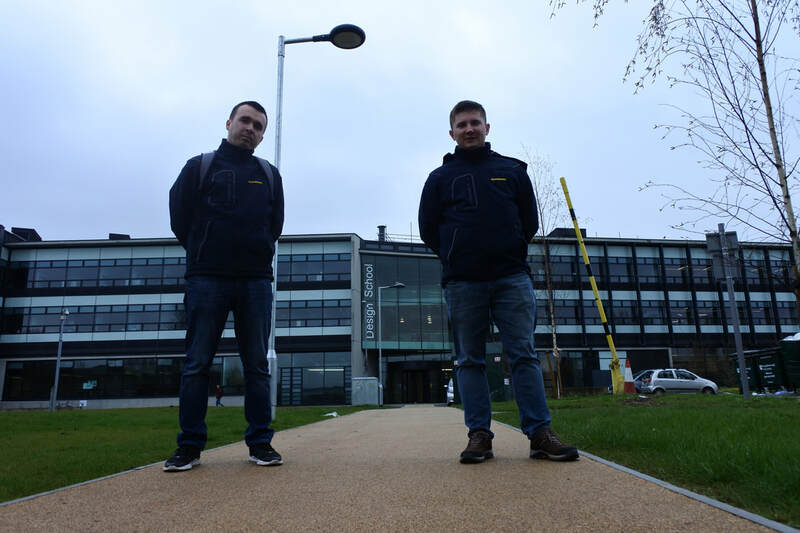 Mr. Bogdan Luca and Mr. Ioan Voina, from the Romanian partner, Gühring S.R.L., visited Loughborough Design School at Loughborough University in April 2018. During their stay in the UK they identified appropriate applications for directional composites while studying the use of different composite materials in these relevant application sectors. By the end of their secondments, the experts produced a comprehensive report on the state-of-the-art in various industries, as well as benchmarking applications that are manufactured by industrial competitors.